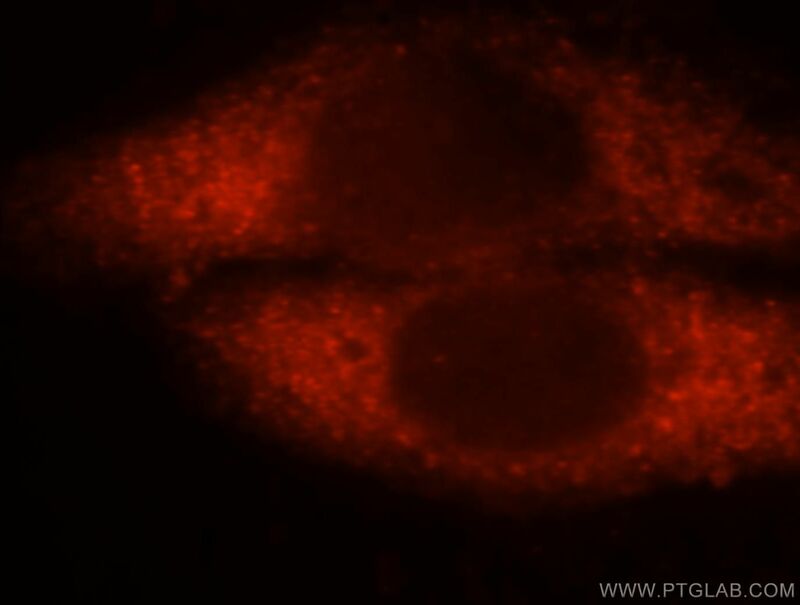 Immunofluorescent analysis of HepG2 cells, using GSTA1 antibody 14475-1-AP at 1:25 dilution and Rhodamine-labeled goat anti-rabbit IgG (red). 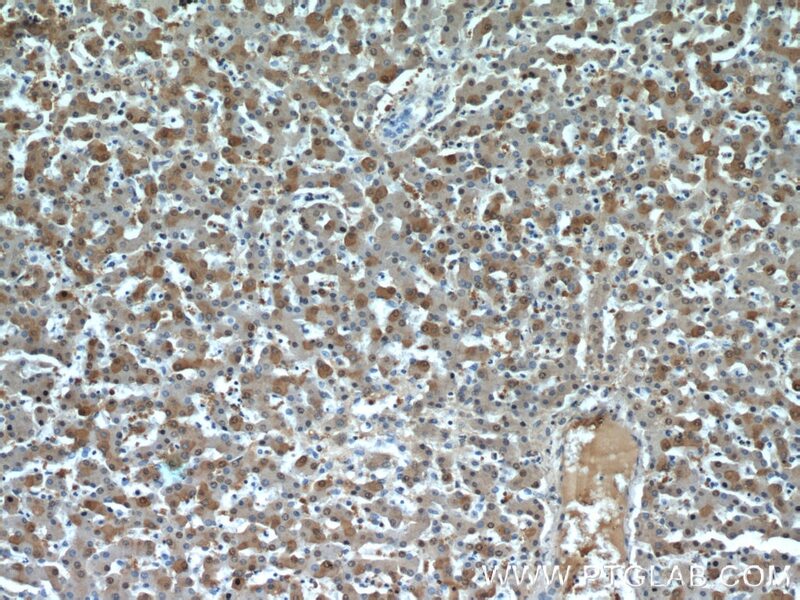 Immunohistochemical analysis of paraffin-embedded human lung cancer tissue slide using 14475-1-AP( GSTA1 antibody) at dilution of 1:400 (under 10x lens) heat mediated antigen retrieved with Tris-EDTA buffer(pH9). 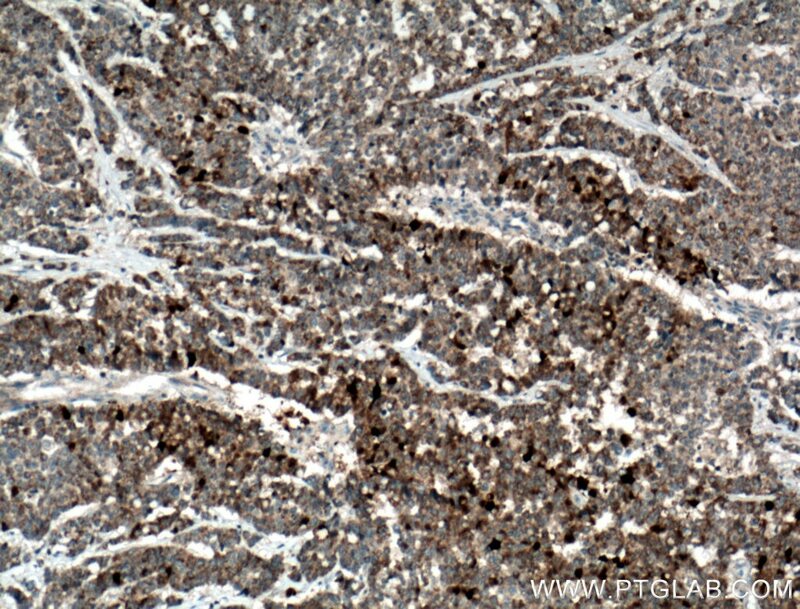 Immunohistochemical analysis of paraffin-embedded human lung cancer tissue slide using 14475-1-AP( GSTA1 antibody) at dilution of 1:400 (under 40x lens) heat mediated antigen retrieved with Tris-EDTA buffer(pH9). 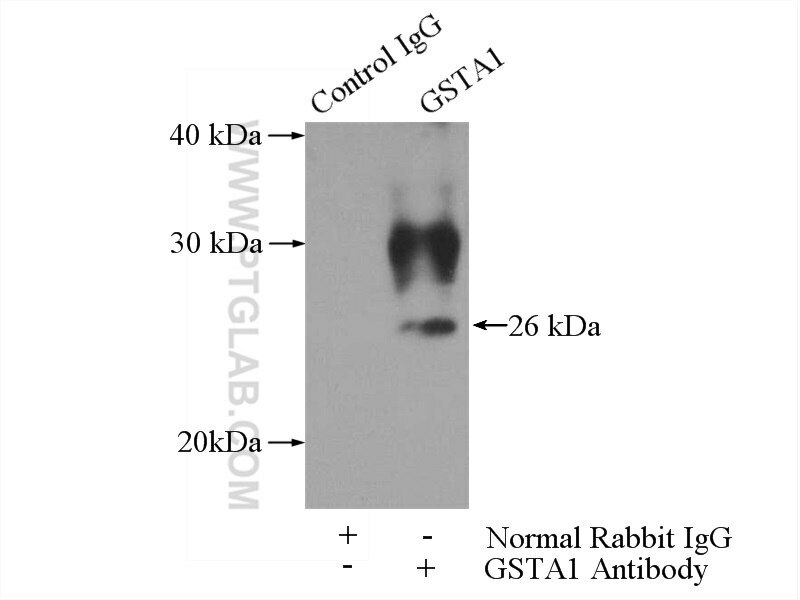 IP Result of anti-GSTA1 (IP:14475-1-AP, 3ug; Detection:14475-1-AP 1:500) with mouse liver tissue lysate 4000ug. GSTA1 encodes one of the GST alpha isozymes, belongs to GST family, which is mainly expressed in the liver. GST can improve the detoxification of organism by enzymatic and non-enzymatic methods, and has anti-mutagenic and anti-tumor effects. 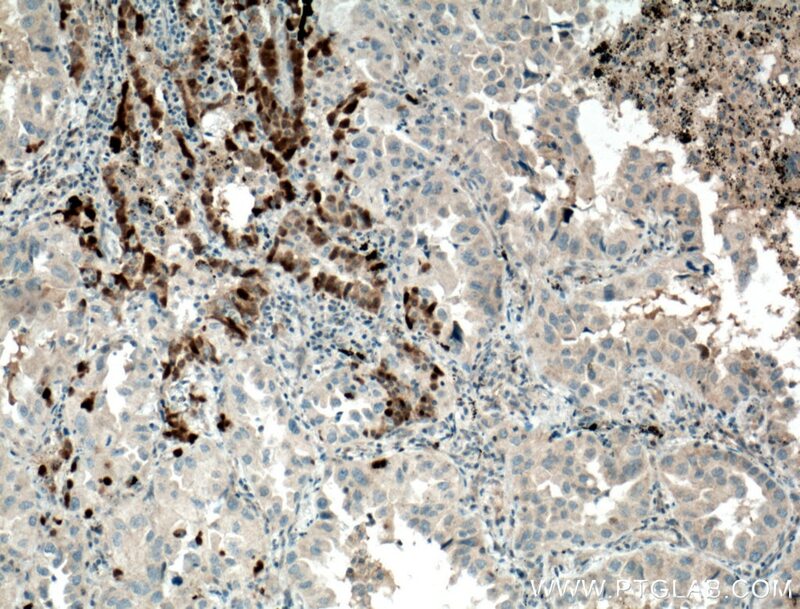 Studies have shown that overexpression of GSTA1 can promote the growth of lung cancer cells, so the expression level of GSTA1 can be used to predict the degree of malignancy of lung cancer tissues. 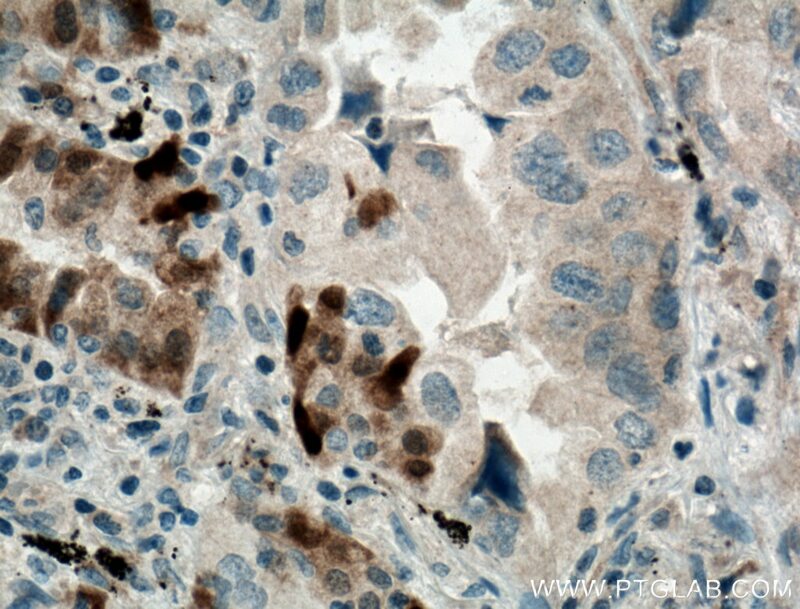 To some extent, GSTA1 is regarded as a potential lung cancer candidate targets. 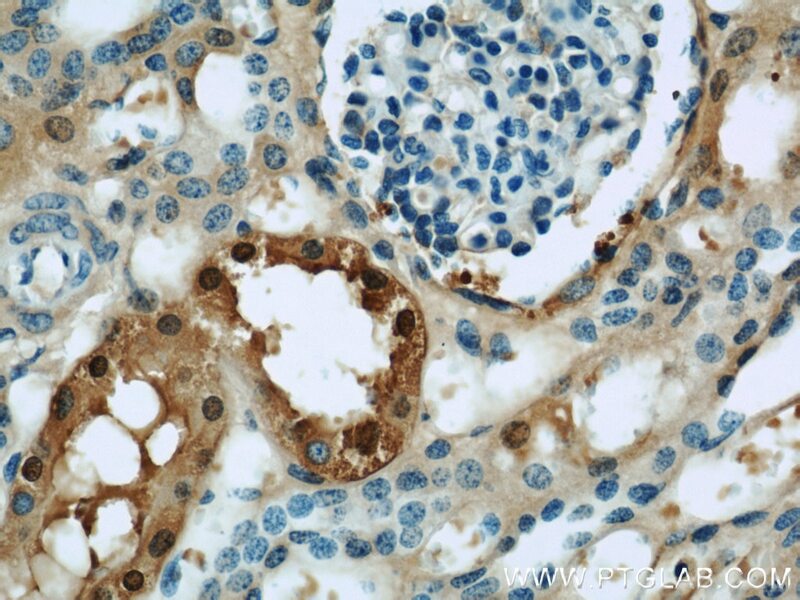 Thioacetamide-induced Hepatocellular Necrosis Is Attenuated in Diet-induced Obese Mice. l-Arginine induces antioxidant response to prevent oxidative stress via stimulation of glutathione synthesis and activation of Nrf2 pathway. Poly(ADP-ribosyl)ated PXR is a critical regulator of acetaminophen-induced hepatotoxicity. 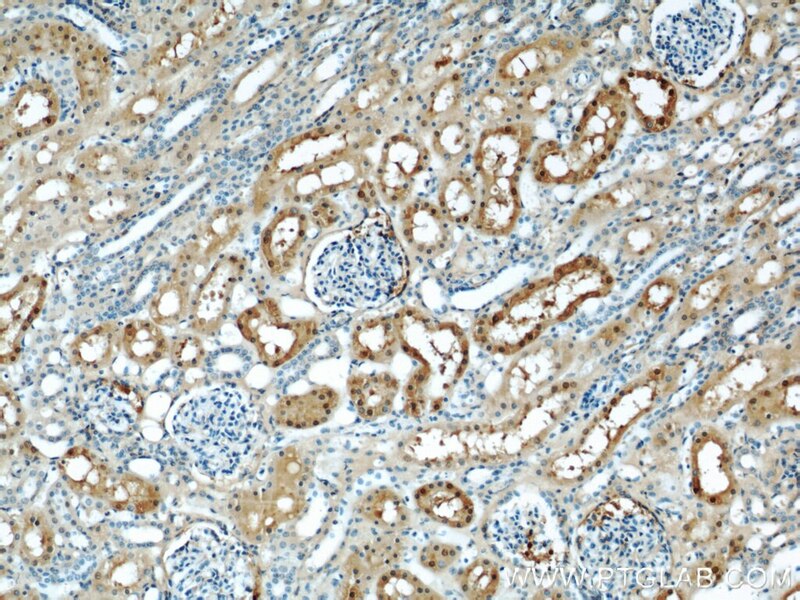 Immunohistochemical analysis of paraffin-embedded human colon cancer tissue slide using 14475-1-AP( GSTA1 antibody) at dilution of 1:400 (under 10x lens) heat mediated antigen retrieved with Tris-EDTA buffer(pH9). 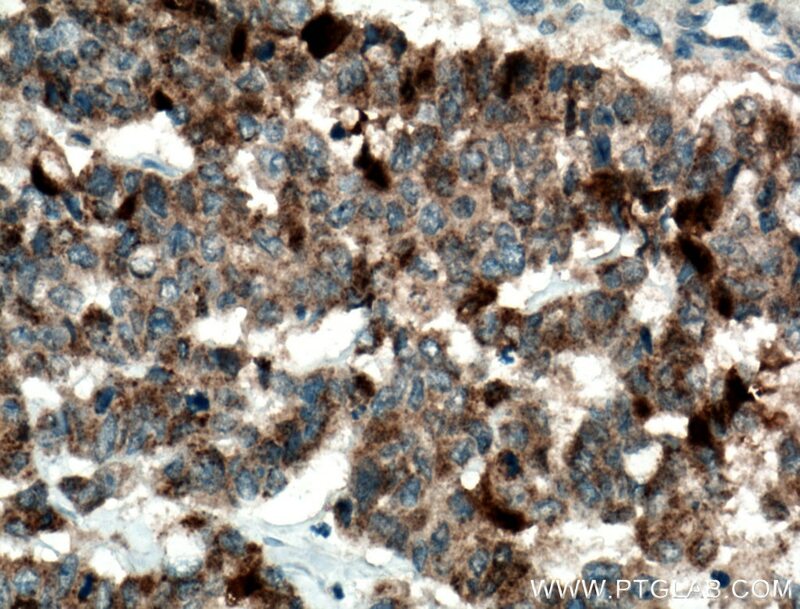 Immunohistochemical analysis of paraffin-embedded human colon cancer tissue slide using 14475-1-AP( GSTA1 antibody) at dilution of 1:400 (under 40x lens) heat mediated antigen retrieved with Tris-EDTA buffer(pH9).